The streets of Nantucket are cobbled and quaint, but let’s face it, it is all about the Beach, so always hold out hope for a red sky at night, sailor’s delight! And when that fails, go shopping…. 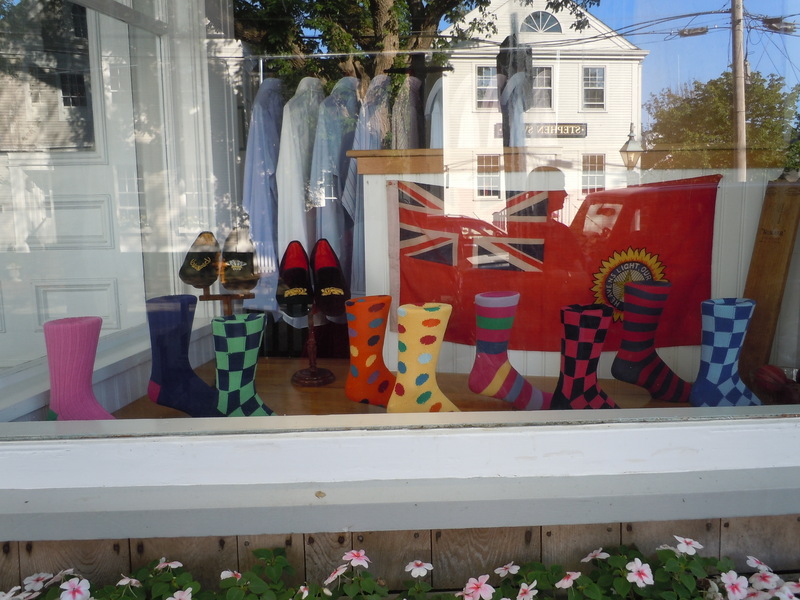 How about some British socks for the men in your life? 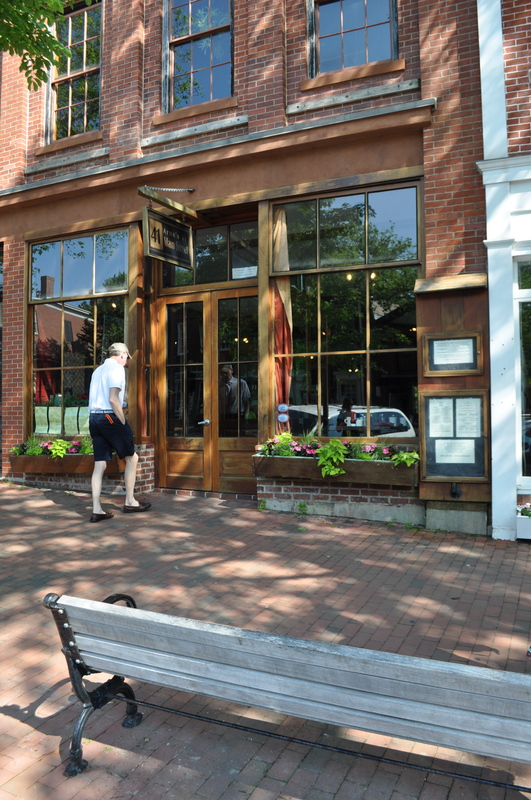 This entry was posted in Uncategorized and tagged Arno's, Company of Cauldron, India Street, Nantucket. Bookmark the permalink. 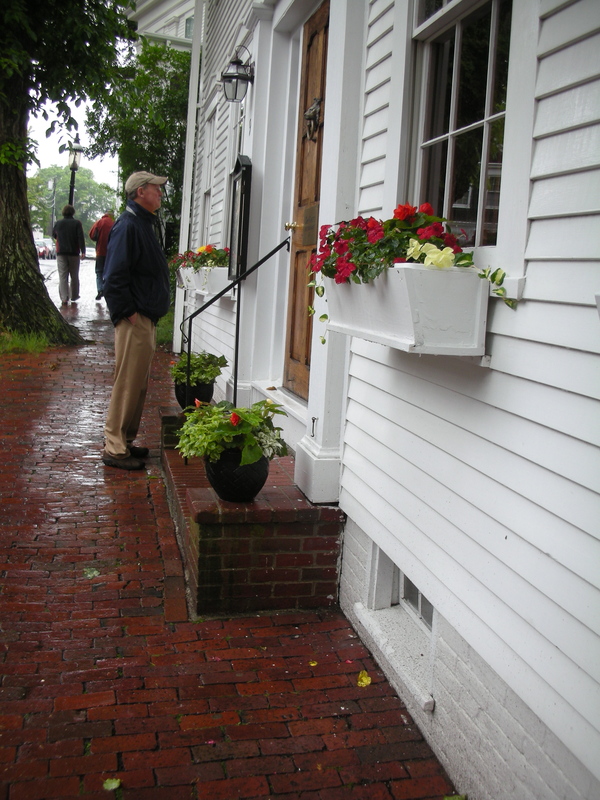 Even in the rain, Nantucket is sooo charming and beautiful! We are actully supposed to go there next week but our plans might be changing (though hope not as I am looking forward to it) My sons lacrosse schedule..ugh! After many days of rain here it was so uplifting to finally see the sun! In any case, thanks for stopping by….so happy you did becuse now I have discovered your lovely blog to which I am a new subscriber! I hope you get to Nantucket! and I understand about the lacrosse – my son was an All American lacrosse player in college and I put many MANY miles on our car , from 4th grade on! He was in Vail this past week end playing with post college players – it never ends, I guess! 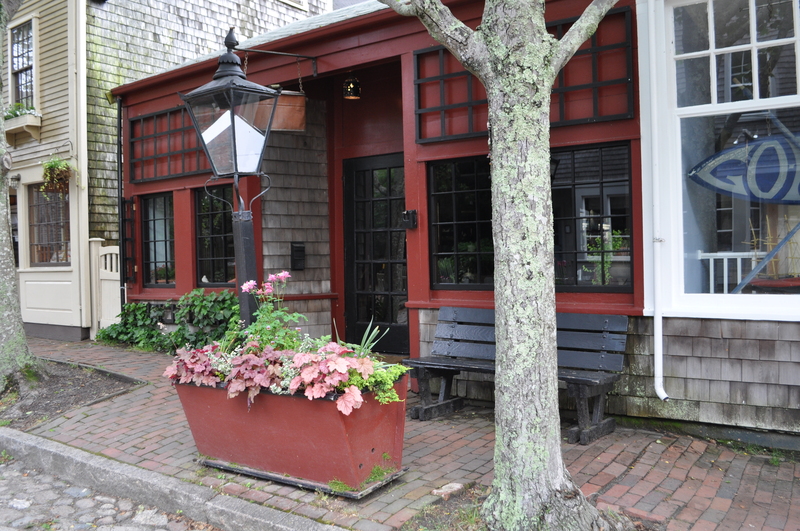 Love your pics of Nantucket – seems a world away from my sleepy English village – well, it is a world away! You also have a beautiful garden. 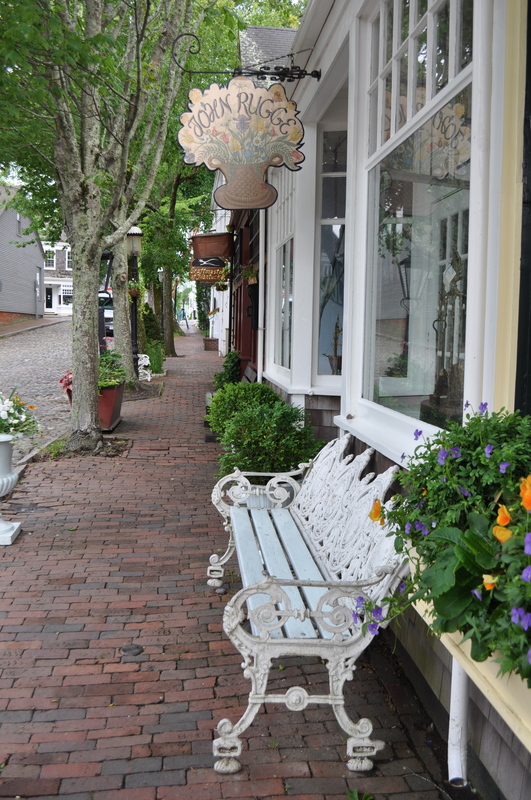 Nantucket is still one of my favorite places. I have been going for over 25 years and look forward to my sojourn next month!! I haven’t been to Company of the Cauldron for years – might need a revisit!